The word “occult” is generally associated with “magical” and “mystical” phenomena. Many people may have a lot of emotions when it comes to these subjects as they’re often categorized as being false, or associated with “dark” or “evil” entities… and things of such nature. There are so many associations that can be derived from such words simply because it brings up fear or disbelief in some individuals. Occultism is simply a subject of philosophy, like physics is a subject of science. That being said, an interest in occultism dates back thousands of years, to ancient Egypt and prior, all the way through ancient Greece and up to the present day. I provide a few examples in an article I published last November about the world’s elite, and possible Black Magic rituals. It elaborates on the works of multiple scholars and philosophers who studied the subject of occultism in-depth, and highlights the idea that many sacred rituals are in the hands of, and have always been in the hands of, the world’s elite at the time, passing through generations and kept secret for many years for their own selfish purposes. It touched on the idea that these practices originally meant to be used for the purposes of good, but were perverted by those who wish to satisfy their own desires and thirst for power. As a result, what we have today are a number of powerful people who could be engaging in these activities for purposes of power. This does not mean there are not “wisdom keepers” and many who do not turn to the “dark” side. Ancient wisdom, and practices within “occultism” have not all been used inappropriately. There are forces within these fields who do represent the opposite of the disturbing side. Today, occultism also coincides with non-material science, the study of phenomena like telepathy, ESP, psychokinesis, clairvoyance and more. These areas have been studied in-depth for decades within black budget programs within the government and by global governments, for decades. A great examples would be Remote Viewing, and the STARGATE project that was ran by the CIA and NSA. A 1999 a statistics professor at UC Irvine published a paper showing that parapsychological experiments have produced much stronger results than those showing a daily dose of aspirin helps prevent a heart attack. Unfortunately, non-material science has been used for military purposes, and ridiculed within the mainstream. These are to be used as forces for good, and to further emphasize the fact that we are much more than we are taught, and that a spiritual aspect to our existence does indeed exist. As you can see, there might be a reason various people and groups have been interested in this type of “mysticism,” because it turns out this type of phenomenon and many others associated with it are actually real. Despite this, it still defy’s and goes against the belief systems of many and it’s not uncommon for phenomena such as this to take years to make its way into the mainstream. When it was discovered that the Earth was round, it created a scientific uproar and many scholars were sought out and labelled as outlaws and sinners. Many of the works done in these fields used to be labelled as “pseudoscience,” but thanks to all of the research and evidence that’s emerged over the years, that term is fading away, as it should. All great discoveries are usually first mocked, and we are living at the very beginning of a second scientific revolution. Change takes times, especially when we are talking about that which can shift the current mental paradigms. The world and many factors of the human experience are not always as they are presented to us, but one day, with complete global transparency, they will be. The most common issue when discussing some topics is the response, because this type of thing really does defy and conflict with many people’s belief systems. Numerology is associated with mystical beliefs, as it represents the relationship a number has with coinciding events. It’s also the study of the numerical value of the letters in words, ideas and names. The topic includes a number of aspects from multiple ancient cultures like Pythagoras and his followers in Greece, Babylonia, various branches of philosophy, Christian mysticism, Middle Eastern traditions, Eastern Philosophy, the Hindu Vedas, in Ancient Egypt, like the “Book of the Masters of the Secret House” (Ritual of the Dead) and many more. Why is it interesting? Because this type of activity and interest in such phenomena, like magic, for example, has proliferated among those who have kept the knowledge. This is not ancient Egypt, it’s the modern-day, and the perverted power which existed then, perhaps originating in ancient Atlantis, might still possibly exist today among the world’s most powerful. Those groups who sit high above global governments and corporations and perhaps those who have some control over the “secret government” which has been referred to by countless amounts of “powerful people,” like presidents and politicians, are among those involved with these practices for selfish and perverted reasons. You can refer to this article which goes more into depth about that. You can refer to this one to see some examples of presidents and politicians referencing the secret government mentioned above, here. “The real menace of our Republic is the invisible government, which like a giant octopus sprawls its slimy legs over our cities, states and nation . . . The little coterie of powerful international bankers virtually run the United States government for their own selfish purposes. They practically control both parties . . .” – John F. Hylan was Mayor of New York City from 1918-1925. I chose to circle the pendant she is wearing, because we see similar symbolism among the world’s elite all the time. 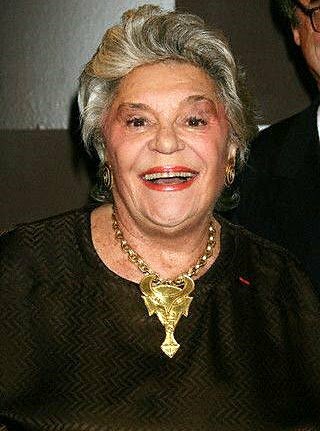 Below is a picture of Baroness Philippine De Rothschild, another one of many examples. These ideas have, in recent years further been pushed along with all of the pedophilia revelations within the Vatican, Hollywood, and politics. Here is an article we recently published going into detail about accusations of “Satanism” within the Vatican, from Vatican insiders themselves. Here is another one covering the whole “Spirit Cooking” dinner with Jon Podesta via Wikileaks documents. There was even evidence that Hillary Clinton shut down an investigation into her State Department over allegations of inappropriate sexual misconduct with minors. So, as you can see the connections warranting suspicions exist, and this type of thing seems to exist within all levels of the pyramid. Are these ritualistic and sacrificial events? Again, this doesn’t mean that there aren’t good people within this ranks as well. In the video below, you can really see her enthusiasm for the subject.